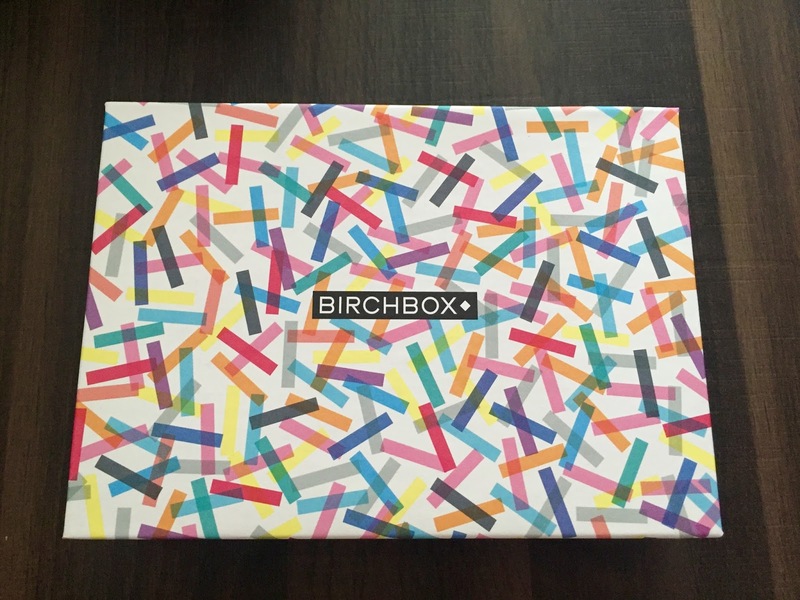 I am actually posting a Birchbox in a timely fashion, say what?! I am notorious for waiting a week or so to show what came in my Birchbox, but this one arrived on Saturday and it's only Monday- not bad at all! First of all the box itself is super cute. It makes me think of sprinkles and eating ALL the ice cream. I love all the colors included in this design. 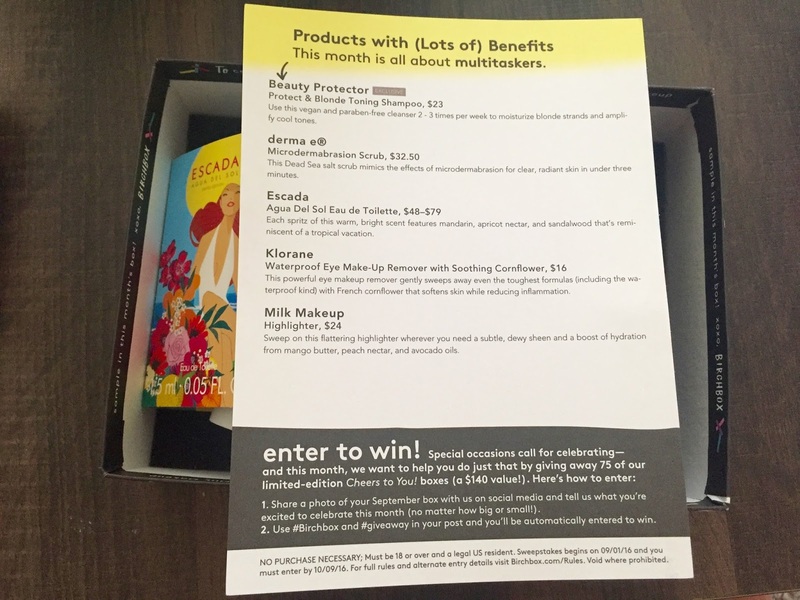 A ton of great products in this months box! First up is a hair product from Beauty Protector. 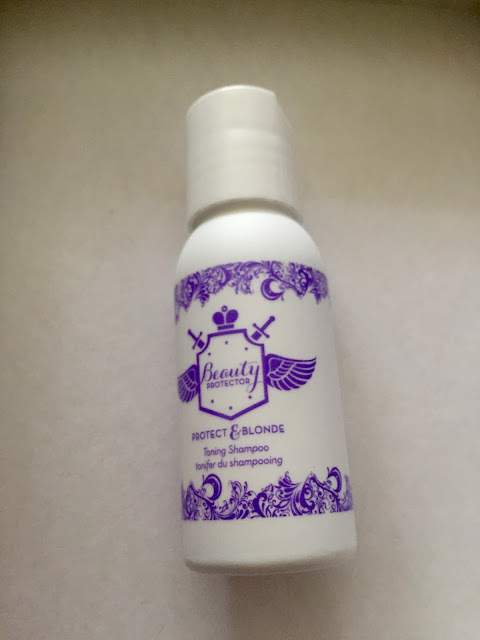 This is a toning shampoo which is an awesome item to receive for my blonde hair! My hairdresser uses toner on my hair quite often because it tends to turn pretty brassy from sun exposure, well water, and pretty much every other element in the world turns it orange- lovely right? Well for blondes with that issue, toner is a great thing to use to keep your hair a blonde rather then orange! I'm excited to try this and see if it makes a difference. 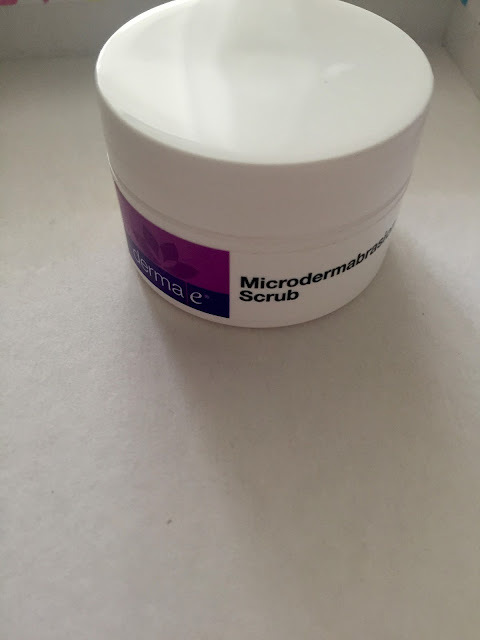 I haven't use a face scrub in quite some time but am definitely excited to try this Derma-e Microdermabrasion Scrub. My face always goes through quite a bit of stress in the summer. No matter how much sunscreen I use I always manage to end up with a bit of a burn and my face tends to get the brunt of it. Hopefully I'll be able to revive my skin this fall. 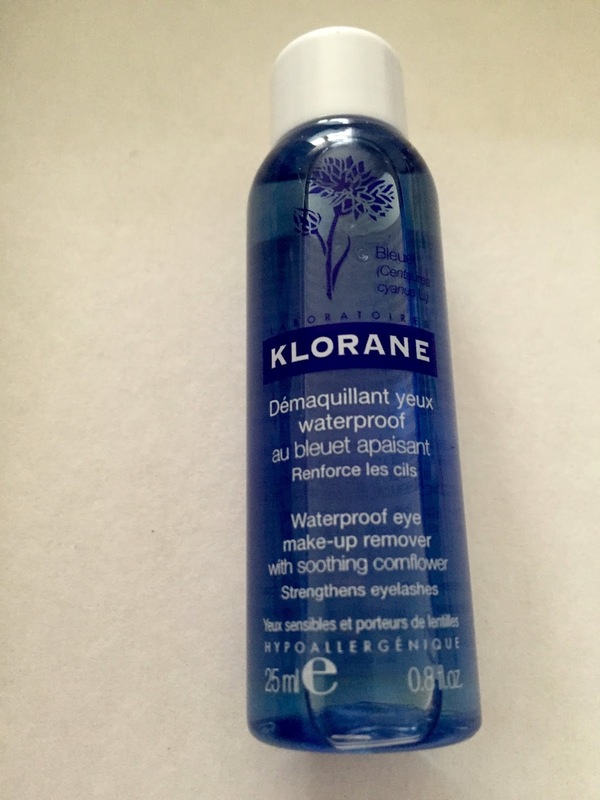 A girl can always use eye make-up remover especially one that is for waterproof makeup. I sometimes get lazy and don't remove all my makeup before bed, but that makes a big mess around my eyes the next morning. I need to get better at removing all my makeup and washing my face at night before I go to bed- just for the health of my skin! 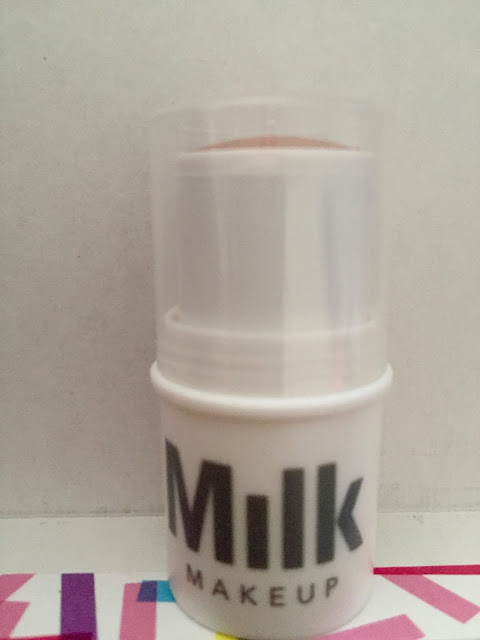 I've honestly never heard of Milk makeup but I am super intrigued by this highlighter. At first glance I thought it looked way too dark for my skin, but after swatching it on my hand it's a beautiful light shimmery color and it looks amazing! Highlighters are something I want to play around with a bit more and I have been trying to add them into my makeup routine slowly but surely. I honestly don't love receiving perfume samples because if you've seen my perfume collection you know I definitely don't need any more! 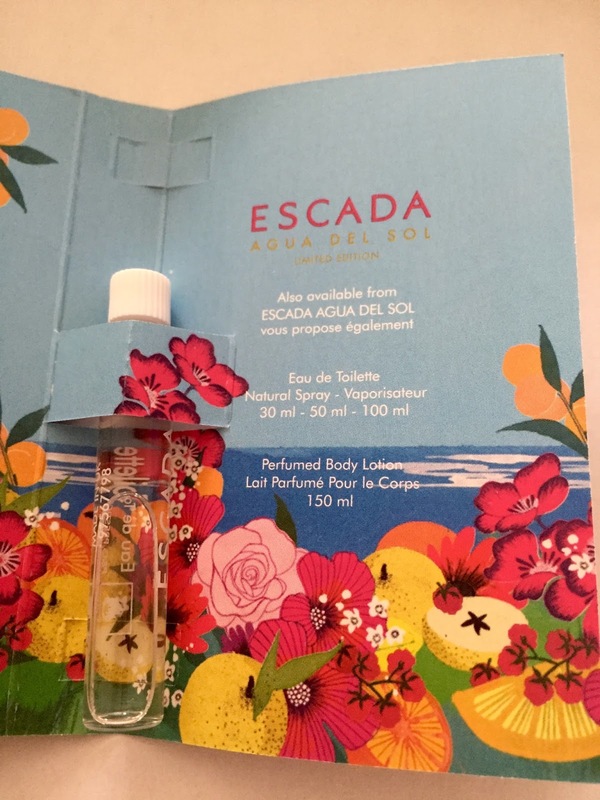 I wasn't thrilled seeing this Escada Agua Del Sol inside my box, but I actually really like the smell! 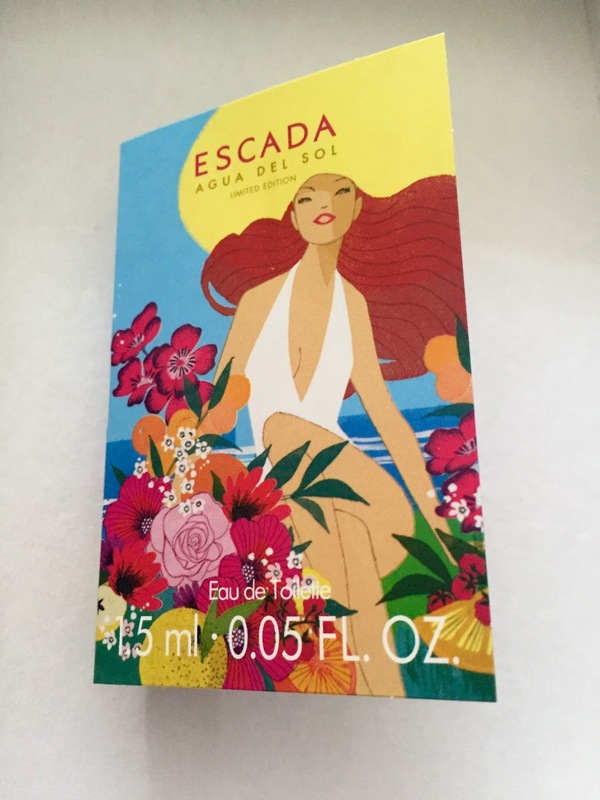 It's a super fruity fragrance which I normally don't go for- but I really like it! I actually can see myself wearing it and using up this little sample. That's what I received in my Birchbox this month, what products are you trying lately?